Six refugees in Wisconsin were diagnosed with multi-drug resistant (MDR) tuberculosis (TB) in 2014 and 2015, according to the Wisconsin Department of Health Services. As Breitbart News reported previously, twenty-one additional refugees in Wisconsin were diagnosed with active TB during the same time period, making the Badger State the refugee TB capital of the country, at least among the handful of states that have so far reported that data. Other states that have reported active TB among refugees include Louisiana (21), Vermont (17), Colorado (16), Florida (11), Kentucky (9 in one county), Idaho (7), Indiana (4), and North Dakota (4 in one county). Breitbart News is still awaiting refugee active TB data from the remaining 41 states. MDR TB is not always curable, and requires long and expensive treatment. Active TB that is not drug resistant can be cured with four drugs over nine months at a cost of $17,000 per patient. MDR TB requires 20 to 26 months of treatment at a cost of $150,000 per patient. Refugees in Wisconsin accounted for six of the seven MDR TB cases diagnosed in the Badger State during 2014 and 2015; all four diagnosed in 2015, and two of the three diagnosed in 2014, according to the Wisconsin Department of Health Services. 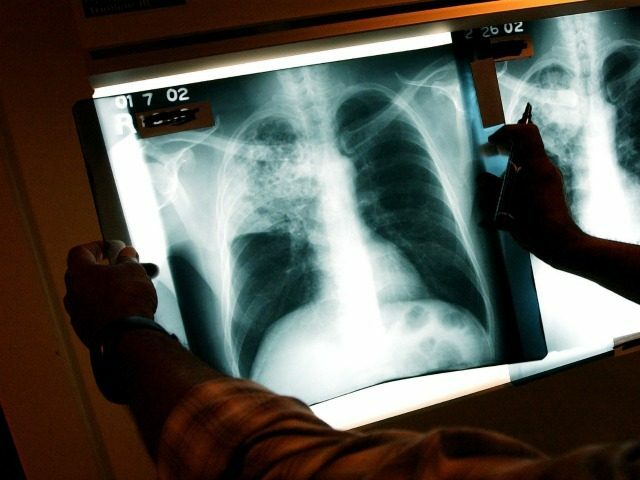 As Breitbart News reported previously, the number of active TB cases diagnosed in Wisconsin increased by 40 percent last year, from 48 in 2014 to 69 in 2015. MDR TB is a growing problem world wide. In 2015, the World Health Organization reported that 480,000 of the reported 9 million new cases of active TB diagnosed around the world were of the MDR variety. In the United States, MDR TB represents a very small percentage of all active TB cases. In 2014, the Centers for Disease Control (CDC) reported that only 91 of the 9,421 active TB cases diagnosed were of the MDR variety. When the CDC reported in March of this year that the number of active TB cases increased by 1.7 percent in 2015 to 9,563, it did not include information on the number of MDR TB cases diagnosed during that period. “MDR TB data are not included in the provisional report that was published in the MMWR in March. 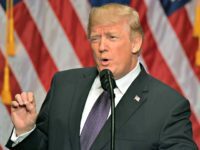 The CDC is currently working on analyzing the official tuberculosis surveillance dataset for the 2015 edition of Reported Tuberculosis in the United States, which will include MDR TB data when it is published,” a spokesperson for the CDC tells Breitbart News. Breitbart News, however, has obtained MDR TB rates in 2015 from 15 of the 50 states. Those states reported a total of 62 cases of MDR TB, suggesting that 2015 may have seen a significant increase in the incidence of MDR TB in the United States. California reports 22 cases of MDR TB in 2015, up from 18 in 2014. Massachusetts reports 7 cases of MDR TB in 2015, up from 4 in in 2014. South Dakota reported its first case of MDR TB in 2015. The CDC is expected to issue its final report of the number of MDR TB cases diagnosed in the United States in 2015 some time in September. Though MDR TB is a very small percentage of the 9,563 cases of active TB diagnosed in 2015, the possibility that when the CDC releases its final complete count for the year it could reveal a significant increase is ominous, given the cost of the disease and recent estimates that the survival rate may only be 60 percent. In 2014, 88 percent (80 out of 91) of the MDR TB cases diagnosed in the United States were foreign-born. The refugee community in the Badger State is estimated to be approximately 70,000 in total. One out of every 11,500 Wisconsin refugees were diagnosed with MDR TB during the two years between 2014 and 2015. The overall population of the United States in 2015 was approximately 323 million, of which 41 million were foreign-born, and approximately 282 million were U.S.-born. With eleven cases of MDR TB among U.S.-born residents in 2014, only one out of 25 million U.S.-born residents were diagnosed with MDR TB during 2014. MDR TB has been a problem in Wisconsin for a long time. As Breitbart News reported previously, twenty cases of MDR TB were diagnosed in Wisconsin between 2005 and 2012. All of the cases were foreign-born. The high rate of active TB–and now MDR TB–among Wisconsin’s resettled refugees has become a hot political issue in the Badger State this election cycle. Businessman Paul Nehlen, who is challenging Speaker Paul Ryan for the GOP nomination in Wisconsin’s First Congressional District, is blaming Ryan for the problem. “A vote for Paul Ryan is a vote to bring more TB to Wisconsin’s First Congressional District,” Nehlen told Breitbart News earlier.